Local, Fresh & Original….Our Community at its Best! Welcome to the North Platte Farmers Market!! Our priority is to serve our local community. The North Platte Farmers Market welcomes vendors who are from Lincoln County and surrounding counties which includes Custer, Dawson, Frontier, Hays, Keith, Logan, McPherson, and Perkins counties. The Market Board will consider vendors from other counties within the state if there is no other local vendor currently serving that product. Contact the Market Manager or a board member for approval. DATES AND TIMES- ALL markets will be held at the west side of the PLATTE RIVER MALL. Vendor’s stalls will be assigned by Market Manager upon arrival. Please do not set-up before talking to Market Manager! The opening of Market will be announced by a bell or someone hollering ‘start selling’! Early sales are not allowed! Saturday markets start June 2nd and will continue through October (weather permitting). Saturday Market will be from 8am to 1pm. No set-up before 7:00 am. We need all vendors to be picked up and out of the parking lot within 1 hr. or by 2pm. A season of Saturdays, Tuesdays and Thursdays – $350.00 (18 Saturdays, 13 Tuesdays and 13 Thursdays) The $350.00 season price may be paid in payments, but must be paid in full by July 1, 2018. If not paid in full by July 1, deposit will not be refunded but reimbursed with value of punch cards. All the season prices are through September, because October can sometimes be a finicky month, we will take October one market at a time! If you have paid season fees for 2018 your October Fees will be 8.00/space. A spot is one and a half parking spaces, if you need more than one spot you will be charged accordingly. *All vendors please communicate your name, business name, contact information, Facebook address if applicable, what you sell and maybe a sentence or two about your business to the Market Manager or send to director@northplattefarmersmarket.com. It will be added to the markets’ website so customers can see the diversity our market offers! * As part of the Boards priority to serve our local community all vendors must have a sign telling customers where their produce or goods were grown or made. *Everything sold at the market must be homegrown or homemade/hand embellished. Absolutely, no sales of commercial merchandise. Because of our agreement with The Mall the sale of commercial merchandise puts the entire Market at risk of termination. *To comply with NE State Farmers Market regulations, produce and food vendors must use new grocery bags for bagging your customer’s purchases. For your convenience the Famers Market Board has purchased bags that are for sale to vendors. There is no mark- up on these bags; they are being sold at cost. See Market Manager or Board member for pricing. *Permits-If you require permits (egg, live plants, meat, food items, etc.) it is the vendors responsibility to obtain these permits. Contact the market manager or a board member and we will assist if possible. If your business requires a licenses or permits they must be displayed for public viewing. *Food products must be labeled with producers name, address and phone number. Ingredients must be listed and all breads must have a net weight on each loaf. *According to USDA regulations no soft or cream pies, including pumpkin, are allowed to be sold. *Homemade drinks must either be pre- made in a ‘certified commercial kitchen’ or, if prepared at the market, there must be a free flowing hand washing station available for use. The vendor also must have a ‘temporary food stand permit’ to be able to sell beverages at the market. *NO smoking allowed by vendors during Market hours, from set-up to tear down, within the Market parameters. *There will be no sales of live animals at Market. All pets must be on a leash and controlled! *If your market vehicle is larger than a pick-up, please let the market manager or a board member know so we can accommodate your needs. *The Mall does not provide trash containers. Vendors must haul their own trash out of Market area! Trash containers around the Mall are NOT available for Market use, they are privately leased. *Your vendor area must be as clean or cleaner than when you started market that day. *The only public restrooms available to vendors are in the Platte River Mall. *Vendors with small children must keep their children under supervision at their booths. Vendors children are not allowed unsupervised wandering of Farmers Market. *Vendors are expected to conduct themselves properly, displaying courtesy towards patrons and fellow vendors. *Deliberate “throat cutting” in pricing of goods is prohibited. *All fees established by the Board are subject to change without notice. 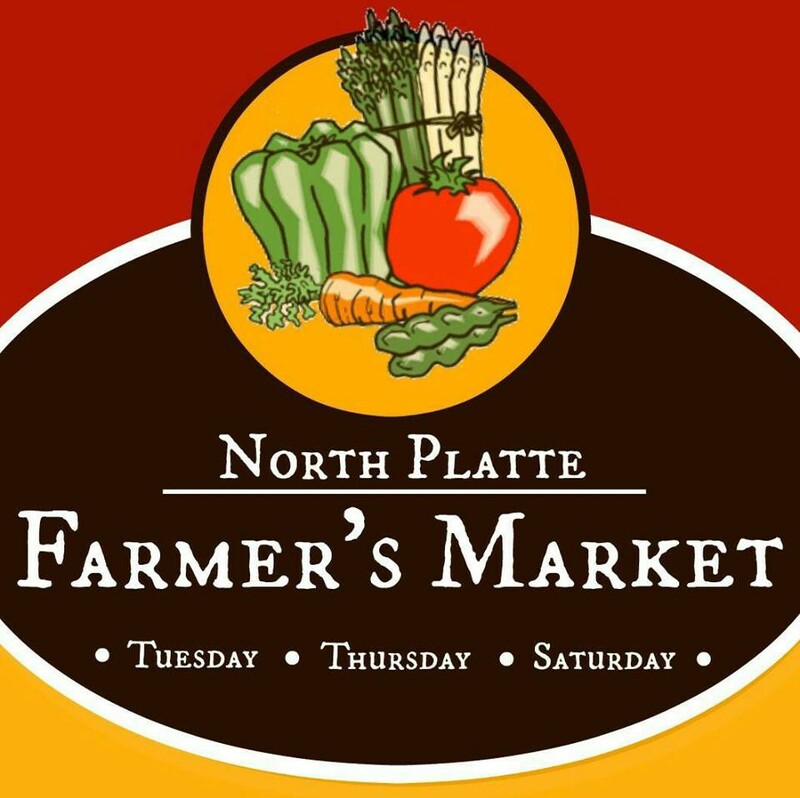 *The Market Manager/Governing Board shall have full power to enforce all rules and regulations within the Market area as authorized by the North Platte Farmers Market Board. The Governing Board has the power to revoke a stall permit on any grounds that do not enhance the quality or goodwill of the market. *Consequences are as follows if offenses occur. 1st notice of offense – verbal, 2nd notice of offense – written statement of offense with a vendor signature required, 3rd notice of offense – 2 week ban from Market. The Farmers Market Board is excited to see all that Lincoln and its surrounding counties have to offer our local community! We want all, vendors and customers, to have a great market experience. If there is ever a problem that needs to be addressed or a suggestion to be made, please seek out the Market Manager or a Board Member and we will do our best to resolve any issue and hear and potentially implement suggestions made!